October 16, 2017: Clomp, Clomp, Clomp...You Could Hear the Horses Dancing! Hold on! Triple A for tots comin' to set your kiddie car right and get you back on! On your own for getting that diaper squared away, though. Maybe a song in that..."When Your Diaper Droops In A Desert Driveway." Hello, Friends! I love you all. It's gone be one of THOSE shows. Eggleston, indeed, Jeff! Good eye. Hold up, Jeff. Let me correct us both...that's a Garry Winogrand photo. Around The World In a Day is good, but Dirtymind is my favorite album, in terms of more dancy, upbeat Prince music. I am a huge Dirty Mind fan as well, @Gilly. Have you listened to Sign "O" The Times? That's my all time favorite. No, no, it reminded both of us of a different series of photos by Eggleston, but its actually a photo by Garry Winogrand. What I miss? Wow, It's like Kurt took over! This stream's got room for two Prince-heads, @NGH! okay then. i never heard of him or her - or other...i like the photograph though. 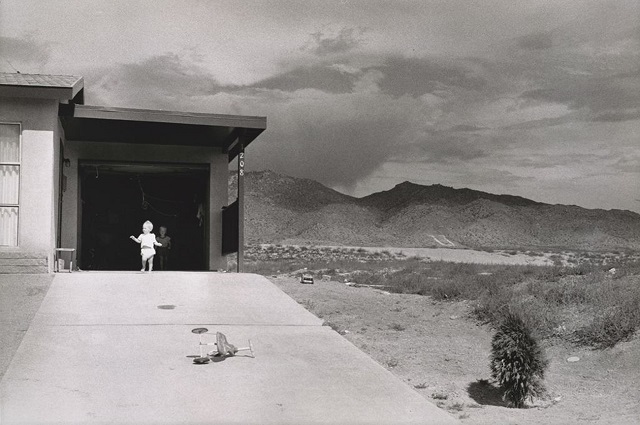 Oh, I highly suggest a google image search on Garry Winogrand, @coelacanth. i know they say when you fall off your horse you should get right back on; but after this (i.pinimg.com...) i couldn't. i just couldn't. - maybe it was because i was 13 years old though. 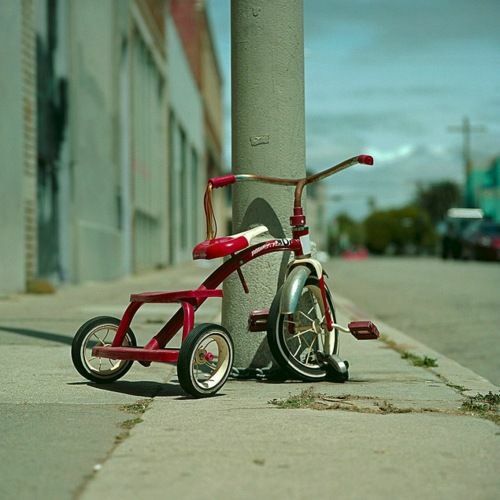 i image searched "eggleston tricycle" and that came up with the caption "better than eggleston?" My band member is a massive sparks fan we listen to their stuff all the time. I was just thinking they seem like a band you'd be into, @Gilly. I assumed Sparks would be something you liked too, do you listen to Pink Project? Heya Sam. Suffering from horse lossage. @Carmichael, you've come to the right place. thanks Sam i just wasted 45 minutes looking at street photography! Far from a waste, @coel! I am a fan of both Eggleston and Winogrand. I was thinking the photo was by the guy who did Suburbia. Bill someone, I think. If I remember correctly William Eggleston made an appearance or was quoted in the Big Star doc talking about seeing a young Alex Chilton at Memphis art events, since his parents were art people. Interesting overlap. @Sam I concur, never a waste! Uhmm, I buy records b/c they're records and I want to listen to them and/or dj them. I'm a simple person. Put a record in front of me when I have money, i''d probably buy it (Now only do so at live shows). well, sometimes if a record is a little more expensive than it's worth for my own listening pleasure (this always in relation to what else i'd be able to buy with the same money) but i think it's "collectible", then i might go for it anyway. but i've never bought anything i wasn't planning to enjoy. I am the same way, @NGH! You do run into the problem sometimes with 12" singles, where they cost a little less than an LP, but they only include about 2 songs. I was put on a moratorium to only buy recorded media at concerts after I ran out of shelf room in 2010.
i've been disappointed by 12"ers more often than not; but there's the occasional gem. Yeah, most 12"s are disappointing, especially mid-major labels. They are a very small percentage of my collection. Were you referring to the Mark Ernestus joint, @coel? Ah, I highly recommend all of his output from the last couple years. Have you listened to Basic Channel? Early Berlin Techno duo, featuring Mark Ernestus and Moritz Von Oswald. Quite a bit different than Ernestus's recent output, but still very good. Winograd! Of course. Too out West for Eggleston, probably. Thanks, Sam! mexico i think it is, that photograph.